Yu. Nemtsev: - Dear Nikolai Andreevich, the insufficient level of trade and economic relations development between Russia and Mexico that doesn't correspond to the place and role of our economies on the world stage has been discussed for the last five years. 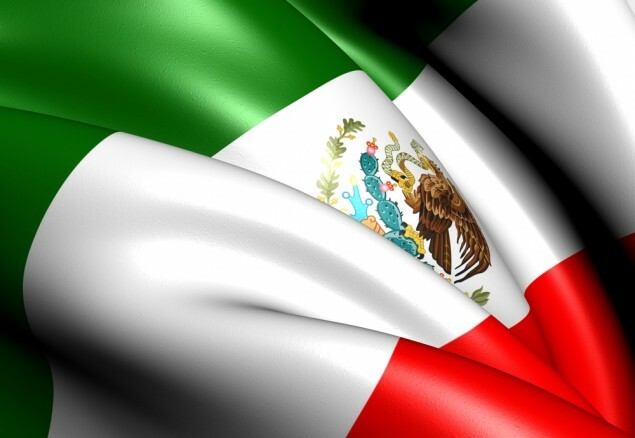 As an economist with many years' experience and Counsellor of the Russian Embassy in Mexico for Economic Affairs could you please tell our readers about the main challenges faced by our countries lately and what prevents active development of trade and economic relations between Moscow and Mexico? N.A.Shkolyar: - I would like to mention the following in connection therewith: Representatives of the companies from the city of Tomsk visited Mexico last year. In spite of success of the visit, related negotiations and achieved agreements one of the main problems faced by our entrepreneurs is the lack of the national strategy of Russian export protection. Let's start with a brief historical excursion. After Russian accession to the WTO concentration of state economic government agencies on the issue of cooperation with export-oriented enterprises has risen considerably. Banks increased their export operations lending facilities and recently set up Export Insurance Agency of Russia (EIAR) started the process of issue of insurance policies to exporters. Development of Foreign Economic Activity state program of the Russian Federation was launched last year. One of its tasks was to establish the mechanisms of export support. However, the existing order, practice and forms of state cooperation with national export-oriented companies still don't correspond to the requirements of time and are far from the level of that in leading countries with WTO membership. - What is the main problem then? And how can one solve it, in your opinion? - Only general conditions of activity of external trade participants are formed at the federal level in Russia today whereas activities of small- and medium-size enterprises export state support are organized by the regional authorities. Examples of considerable support rendered to exporters at the regional level are rare and include Tomsk region, Tatarstan Republic, Karelia Republic and Rostov region. Considering this, it is crucial and significant from scientific and practical points of view to review the condition of organization of export-oriented enterprises support at the level of the constituent entity of the Federation and to develop conceptual and programmed offers. I believe that it is necessary to analyse the Russian capital as the main stream of external turnover goes through Moscow. Offices of the majority of domestic and foreign companies based in Moscow provide for the basic stream of external trade operations of the country. For example, in the first half of 2013 40.7% of the entire Russian export (103.4 billion US dollars) and 43.4% of the entire Russian import (65.4 billion US dollars) accounted for Moscow. - And what situation is faced currently? What particular steps must be undertaken or are already undertaken by Moscow in this direction? - A certain set of measures related to the formation of legal and regulatory framework and creation of institutes of state support of export-oriented activity of industrial enterprises has been accepted by Moscow Government within the last years under the influence of Russian accession to the WTO. Assistance to enterprises of the city in the promotion of their products for export is made by Moscow Chamber of Commerce and Industry and Agency of Export and Investment Support formed by it as well as by a specialized Export Support Centre of Moscow. Availability of these institutions shows that the system of assistance to export-oriented industrial enterprises was started to form and that it still lacks several key elements such as first and foremost, National Agency of Export and Investment support enabling to execute the state policy of export support developed by ministries and approved by the Government of the Russian Federation. Non-correspondence between the functions of development of national policy of industrial export support and functions of its execution and undeveloped federal system of assistance to export-oriented enterprises pertain to one of the main reasons for decreased sale rates of machinery and technical products abroad. At the same time the companies lack a clear export strategy with the corresponding departments are either not formed or have insufficient resources. - What goods would you call the most priority-oriented concerning export support from the capital? - Moscow industry is mainly presented by manufacturing activities with predominance of food, chemical, oil refining, transport vehicle, electronic and optical equipment production. The manufacturing industry of the city has included high-tech production into the group of growing branches lately whereas production oriented at the issue of consumer goods is in the group of branches with decreasing production volume. This demonstrates structural rebuilding in the industry of the city such as decreased level of the production based on traditional technologies in favour of sectors that use innovative technologies actively. Export dynamics of the most important goods of Moscow enterprises indicates the growth of sales on a number of positions within the last decade. These are electrical machinery and equipment, chemical products, instruments and optical appliances, plastic and related items, iron items, etc. Moscow enterprises producing motor cars and trucks, inflated tires, aluminium and copper items, some foods and beverages that traditionally find their customers abroad and can have increased export volume in the case of the corresponding state support can be added to the abovementioned list. - What must be taken into consideration by Russia to provide for successful promotion of domestic products abroad? - Success and effectiveness of state support of export-oriented industrial enterprises depend on a set of principles that must be used while building a concept, strategy and program of organization and implementation of the type of activity. First, purposefulness and targeted orientation of state aid provision to exporters for the purpose of increasing the volumes and diversification, by implementing the programs of support and promotion for priority branches, selected groups of competitive enterprises oriented at certain markets. Systematized organization of state support by strengthening of the acting and formation of new institutes and promotion mechanisms of international economic activity and self-organized export consortiums. Transparency and availability of foreign trade information resources enabling formation of foreign trade experts personnel and export culture, necessary knowledge and skill in employees of export-oriented enterprises of Moscow. - What geographical directions do you consider as the most perspective ones to promote and support Russian export? - Alongside with our rational partners I would like to mention the following large and fast growing economies development of which requires provision of state aid to export-oriented industrial enterprises: China, Turkey, Brazil, India, Indonesia, Malaysia and Mexico which represent potentially large markets for Russian machinery and technical products. Determination of priority countries will enable us to concentrate our efforts on export-oriented Moscow companies related to development of their markets, create regional trade houses in Moscow, joint chambers of commerce and other organizational structures enabling stable foreign trade streams. - Nikolai Andreevich, would you like to add anything taking all the aforesaid into consideration? - Yes, I would like to stress that building of Moscow export-oriented industrial enterprises state support system requires implementation of Moscow Industrial Export Support program considering the following directions that form the basis of the corresponding subprograms. First, it promotes development of the existing and innovative production at industrial enterprises of Moscow for the purpose of increasing the volumes, diversification, quality and competitiveness of the products offered for export. Second, information and analytical assistance to export-oriented industrial organizations is needed to provide them with open, qualitative and actual information on the entire spectre of foreign economic issues and analytical studies of priority country and branch markets that can enable taking correct decisions of a foreign trade type. Third, it is reasonable to support internationalization of Moscow international companies, promotion and financing of industrial product export by way of branch cooperation on the issue of priority foreign market development, provision of extensible approach to the mechanisms of state insurance and export crediting. And finally updating of regulatory and legal framework and structural organization of Moscow is needed to form a timely legal framework corresponding to the conditions of Russian participation in WTO and at the same time motivating export activity of Moscow industrial enterprises and resource strengthening of export support institutes such as Moscow agency of export and investment support. - Thank you for interesting conversation.